Hi there! 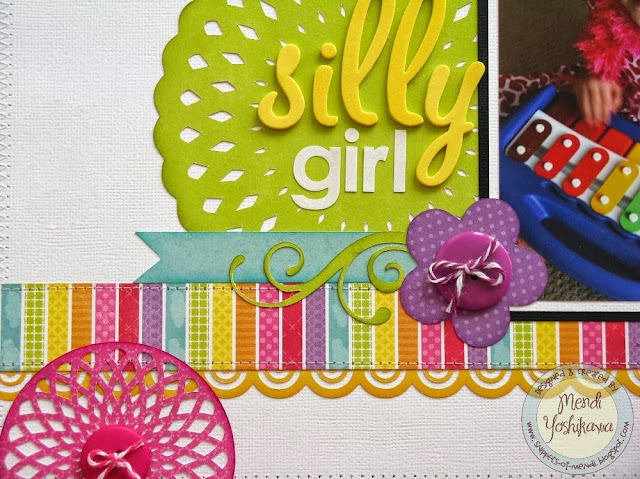 I'm so excited to finally be sharing this layout on Lori Whitlock's blog today! I actually started this one back in May and was just waiting for the perfect moment to share it between Summer and Fall themed holidays. 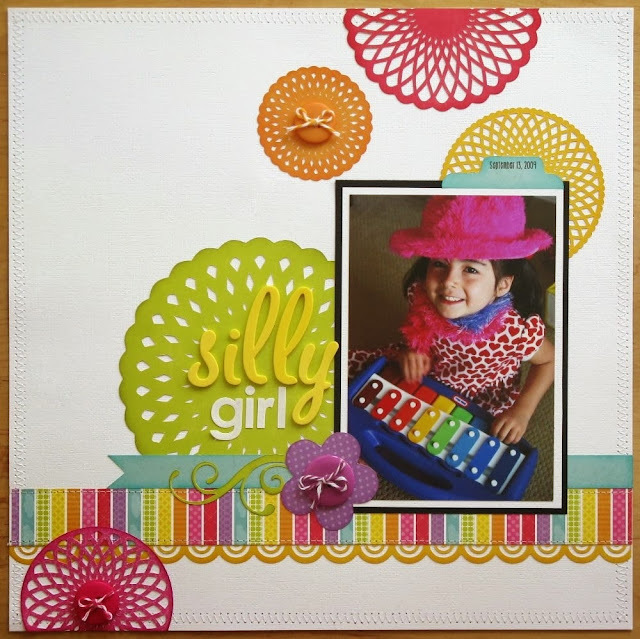 For this project I turned to my all time favorite collection of hers called Summer Days which she designed for Echo Park, along with a number of her awesome cutting files. I've had this photo of my daughter in my photo box for nearly 4 years waiting for the perfect rainbow inspired layout to use it on. 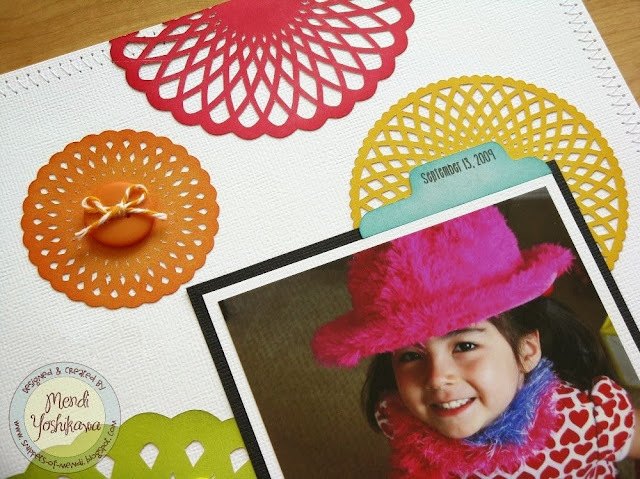 As soon as I saw Lori's doily cutting files I knew it would be so much fun to cut each one from a different color for a clean and simple layout. I love the way they look cut from the different solid colors from the collection! Such a beautiful photo of your daughter! This LO definitely compliments that photo perfectly. I love the different colored doilies that you used. Its so pretty up against the plain white cardstock. The stitching adds the perfect something extra and the button and twine just pop. Love this!